If the day before yesterday, cabinet ministers were being acquainted with the effects of a "no deal" Brexit on the Dover-Calais ferry links, yesterday, it seems was the turn of the aviation industry to pop up and remind people of where they stand if we drop out of the EU without a deal. 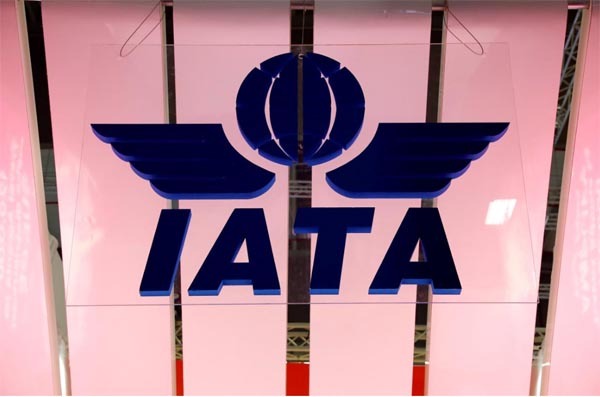 This is the Geneva-based International Air Transport Association (IATA), which has been generally rather quiet about the effects of Brexit, but has now issued a press release which outlines "urgent priorities to minimise Brexit impacts". Although this has been picked up by Reuters, the only national UK newspaper that seems to have reported it is the Guardian. Even then, details are superficial and none of the reports have thought to point out that the press release is based on a comprehensive study "of the effects of the United Kingdom leaving the European Union on airlines flying to and from the UK", which was also published yesterday. Yet, in the 91 pages, commissioned from Taylor Airey and Frontier Economics, this is probably the most comprehensive evaluation yet of the effects of Brexit on commercial aviation, not just locally but globally, and from the international body which represents some 290 airlines comprising 82 percent of global air traffic. Crucially, it notes that, in the event of a "no deal" scenario, there is an understanding that there is a short-term, emergency fall-back position under consideration. But this would only be a "bare bones" agreement, covering the basic third and fourth freedom traffic rights and safety. As such, it would provide only for a "basic level of connectivity". Says the study, market access would be significantly limited in this case and such an agreement would be expected to be based on very limited mutual recognition of safety standards. Looking at the possibilities of further deals, the study assesses the effects of a total loss of good will between the UK and EU, as well as each of the Member States. In this event, it surmises that a liberal EU-wide and liberal bilateral agreements "may not materialise". This, it says, would be equivalent to the relationship between Russia and many Western European states, and the resulting limits on air travel. It goes on to say that the exact level of such limits would be unclear, but if UK-Russia limits were applied to every UK-EU route, there would be five country-pairs which would require a reduction in at least 1,000 flights per week. The equivalent UK and Spain agreement would allow fewer than five percent of current weekly flights to continue operating under UK-Russia limits. On the other hand, the study points out that, through what it calls "affiliate membership of the European Union - such as the EFTA/EEA arrangement - the UK could maintain its position in the single aviation market". In this scenario, it says, there would be no change to the regulations, ownership conditions or freedoms facing UK carriers, or facing EU carriers operating routes to and within the UK. The economic impact to aviation would be equivalent to not leaving the European Union at all. That, then sets out the range of effects to which the UK could be exposed, from a 95 percent cut in international air services to virtually no effect at all. And, on the current trajectory, the former scenario looks the most likely, which has brought IATA into the fray. Says Alexandre de Juniac, IATA's Director General and CEO, with the possibility of a "no deal" Brexit still on the table this late in the game, it is now essential that the EU and UK civil aviation authorities plan for contingency arrangements to maintain a minimum level of connectivity, which is vital for people and for business. This, he says, has to be one of the most important Brexit considerations. "A backstop contingency plan to keep planes flying after March must be published, and quickly". However, despite the impeccable credentials of IATA as an organisation, there is a strong element of political naïveté in its report. De Juniac complains that, "It is ridiculous that formal discussions on the future relationship between EASA and the UK CAA have been forbidden", asserting that: "This is aviation safety we are talking about – the number one priority for everyone connected with air transport and the top responsibility for governments". The DG goes on to say: "We understand the complexity of the political issues at stake. But safety and security should be non-negotiable", thereby illustrating a somewhat incomplete grasp of those self-same political issues. Agreements between the EU and third countries must initially be made at governmental level and only within the frameworks settled can there be technical discussions between the subordinate agencies. Politically, and legally, it is not possible for EASA to conclude any agreements with the CAA while the UK is a Member State, and without the EU and the UK having concluded an overarching agreement on aviation – which cannot be finalised until after we have left the EU. On the other hand, the study authors, Taylor Airey and Frontier Economics, seem to be confused about the possibility of the UK negotiating third country membership of EASA, citing the positions of Switzerland, Norway, Lichtenstein and Iceland. But, in what is actually an extremely complex situation, they have failed to note that there are unique formal agreements with Efta states which allow them to be treated as if they were EU Member States for the purposes of aviation safety requirements. This, in fact, is an exceptional situation which is not likely to be repeated. Under the revised EASA basic regulation, there is no provision for third country membership of EASA. Basically, European third countries may only participate in the work of the Agency. And then, not only must they be contracting parties to the Chicago Convention, they must also have entered into international agreements with the EU, in pursuant to which they must adopted and apply Union aviation safety law. Wrongly, IATA has been led to believe that the most likely outcome of the Brexit negotiations is that the UK will become a third country member of EASA. But since this cannot happen, this leaves as the only credible option the negotiation of a bilateral aviation safety agreement (BASA), the conclusion of which might take some years. Ruling out the "quick fix" of third country EASA membership actually makes the worst case scenario in IATA's report overly optimistic. Many of the safety issues which might otherwise have been resolved will have to wait until there is a BASA in place, which rather leaves hanging any prospect of a comprehensive agreement on aviation between the EU and the UK. What this boils down to is that, as far as the aviation industry is concerned, a "no deal" Brexit is simply not an option. The Reuters report has IATA saying that a no-deal Brexit "could wreak chaos for travellers and a nightmare at airports", which is even more certain than the trade association surmises. The effects would most certainly be even more severe than it anticipates, and resolving the issues would be harder and take longer than it suggests. One therefore cannot dispute the comments of de Juniac at a teleconference to launch his report, where he observed that even a transition period of two years would be a "challenging time frame" to sort out the issue. "But", he added, "if the UK leaves the EU with a 'hard Brexit' in March 2019 then it is hard to see how all this work can be achieved. The inevitable consequence will be chaos". There is something rather final about the word "inevitable". And when the Director General of IATA uses it, the UK government needs to sit up and take notice. If Mrs May could tear herself away from her interminable squabbles with her own party, she could even use this to point out to her MPs that chaos in the aviation industry is not something that she could allow. And, in solving aviation's problems, she would go a long way towards resolving the entire Brexit puzzle. She should, however, be under no illusions. When we first wrote about this in 2014, it was already a serious (and predictable) problem. With the referendum, it came into high profile and the issues were fully apparent in January 2017. This is not something the prime minister can fudge and, even if the media are currently ignoring it, IATA – however imperfectly – has just marked her card.